Take this to your grave. A prominent cryptocurrency exchange is scrambling to access $137 million dollars worth of Bitcoin after its founder died and took his passwords with him. On Jan. 31, Jennifer Robertson testified to the Supreme Court of Nova Scotia that her husband Gerry Cotten, the founder of crypto exchange QuadrigaCX, died in December. As a result, she said that most of the company’s funds — $137 million worth of Bitcoin — were locked away in an encrypted cold wallet that only Cotten knew how to access, according to CoinDesk. 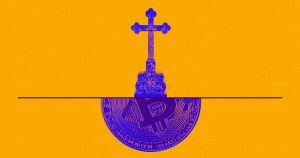 The grim saga demonstrates that even though blockchain technology can help promote accountability and transparency, it can also allow companies to operate without legal oversight — a glaring problem when it comes to financial matters. But there may be more to the story than what Robertson and QuadrigaCX have presented. An unofficial, independent investigation conducted into QuadrigaCX’s transactions on the blockchain by a pseudonymous blockchain researcher who goes by the handle Zerononcense called into question not only the existence of the alleged encrypted wallet but also the validity of QuadrigaCX’s business practices at large. Thus far, QuadrigaCX has not responded to the investigation. Futurism reached out to the company for comment and this article will be updated if it responds. Ironically, a since-archived version of QuadrigaCX’s website reveals that the company partnered with the Bitcoin Foundation, an organization that aims to standardize the use of cryptocurrency. Whether QuadrigaCX’s customers’ money is stuck in an encrypted wallet or whether it was pocketed, what remains clear is that the blockchain, for all its purported safety and security, still has a major accountability problem. Sure, the philosophy of blockchain technology — circumventing regulation in the interest of personal freedom — is a huge selling point of crypto. But without established, enforceable business practices, problems like this will likely continue to happen. Even if nothing shady happened at all, some sort of overarching rules are necessary to make sure that investors don’t lose over $100 million dollars just because a company’s president didn’t feel like writing down his passwords.